The 1 km2 resolution maps are compiled within a GIS environment. Maps for each sector are generated by summing the spatially distributed proportions of the NAEI national total. 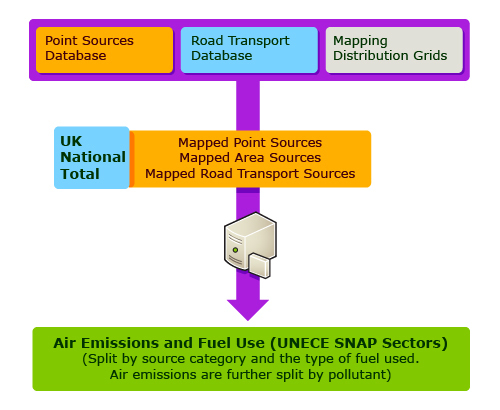 Area and road transport source emissions are aggregated for the 11 UNECE source sectors, and point source emissions aggregated to a 1 km2 grid are added to the area source emissions to calculate a UK total emission map.